In his poem Dark Ireland, Patrick Kavanagh speaks about the Irish as a “dark people, our eyes ever turned inward”. Saying the rosary in Co Waterford, 1991. 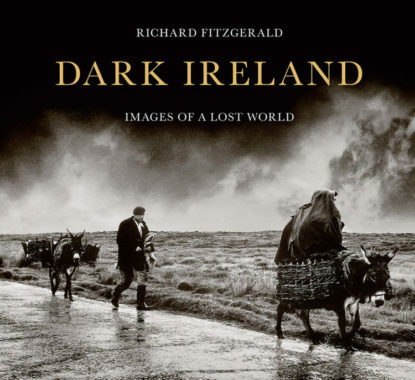 All of the images have been taken from Richard Fitzgerald’s book Dark Ireland: Images of a Lost World. It was those words of the famous Irish poet that inspired photographer Richard Fitzgerald to look not just inward but backward on an Ireland of the recent past, evoking memories of the kind of rural life that has all but vanished. The images in his book Dark Ireland: Images Of A Lost World, capture the unique landscape of Ireland but they are also intimate portraits of the inhabitants of that landscape as they worked, played and prayed. As our selection from Dark Ireland reveals, the Waterford-born photographer has brought together a remarkable book of moody monochrome photographs, which he fondly describes as “revealing the dark underbelly of Irish rural life”. His striking images form a narrative thread with the not-so-distant past. His camera focuses on the back roads of the countryside, and records intimate moments of people in their cottages and farms. Nuns, rosary nights; confessions, coffins, and currachs are captured along with horse fairs and peat harvesting. His 1970 photograph of an elderly couple and their daughter making hay on a farm in Co Mayo could easily have come from a century before. The hand-made haystack, the two-pronged pitchfork, the crude wooden ladder to the side, and even the clothes they wear speak of an Ireland of a long-forgotten past, yet taken less than half a century ago. It was evening and the light was beginning to dim when Richard photographed the man in Co Waterford milking a cow. He learned that the man frequently allowed his cows to graze on the lush grass by the roadside, known as ‘The Long Acre’. 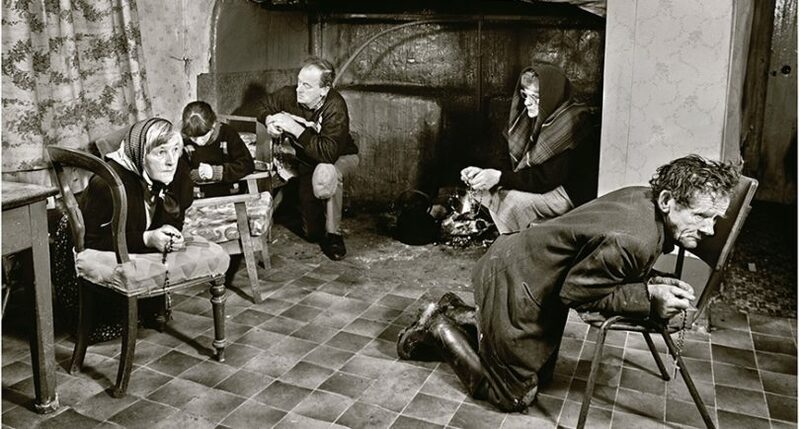 Some of the images reveal the harsh reality of scraping a living in rural Ireland. 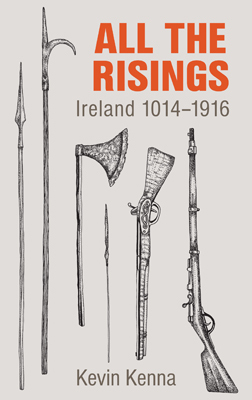 The cover of the book shows two Connemara men returning home from working the bogs. It was taken in 1970. Years later, he could still remember how pitiful they looked, too weary to speak to each other as one of them sheltered under a sodden overcoat while their equally hardworking donkeys trundled along with their heads lowered. “My memories are steeped in Irish country life,” says Richard. “I worked on the land. I ploughed fields, milked cows by hand, made haycocks, planted potatoes, and took horses to the forge. But all too soon it was over and I joined the ranks of thousands of other Irish emigrants bound for a new life abroad”. He claims he was thrown out of Ireland at the age of 14, wrongly accused of stealing a bottle of lemonade. It was an event that ultimately led to his early departure from Ireland. In London, unable to get into college to study photography, a stroke of good fortune landed in his lap when he rented rooms from a retired portrait photographer who had been working with large wooden cameras and glass plate negatives. He became Richard’s personal tutor in photography for many years, allowing him free use of a studio and darkroom. After travelling the world as a ship’s photographer in the late 1960s, Richard returned to London and set up his own photographic studio, photographing rock and roll stars, and actresses and actors from the silver screen. He has enjoyed 40 years of working with various magazines and newspapers; his photographs have been published in innumerable publications around the world. But he has always held an enduring love of his homeland and he continues to photograph Ireland to this day. For more beautiful photography books, visit our bookshop.